Picnic At Marina: Happy St. Patrick's Day! 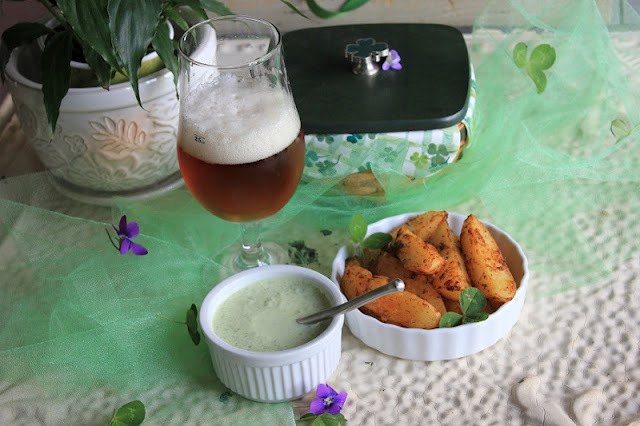 A little bit of luck: something green - parsley dip, a shamrock, a pint of beer, and some potatoes! Cheers sweetie! Have a wonderful St. Patricks day. Looks like you've got everything covered. The dip looks so good and with those potatoes! YUM!! Enjoy you day! Looks like a fun day! Happy St. Patty's to you! Happy St. Patty day to you too.